If the cockpit of the Boeing 727 wasn’t enough to convince me flying was for me, the Captain surely sealed the deal. My story of becoming a pilot in Kenya and my love affair with aviation started when I was a little child aged about three. My dad, who is a Kenyan diplomat, was sent to Somalia on assignment and I came along. This was my first time on board an aircraft and in an airport. I recall the day in black and white as we walked down the ramp on the airside to the plane which was a distance away, and passing all these huge planes I had no idea I was about to board one of them. This was an amazing adventure to me. We did the usual boarding and was allocated our seats and I remember insisting that I wanted the window seat as I still wanted to view and gaze at the planes outside despite the fact that I was actually inside one of them. The plane took off and we passed the clouds as the plane ascended to its cruising altitude and this is where my curiosity kicked in. As every other curious child, I began with the 1001 questions and the unfortunate victim in my line of fire was dad. Now dad, who sadly has to travel a lot due to duty, is a gentleman who fears heights and flights, so having me beside him asking a lot of questions wasn’t helping his situation. And, one of my questions after a lot of cartoon watching was what would happen if the plane crashed and if the clouds below us would cushion us? Talk of crashing was the last thing he wanted to hear and, just as he was about to shut me up, a voice came to his aid on the intercom. It was the Captain giving his brief that we had reached our cruising altitude and his estimates to Somalia. This then lead me to my next question of ‘Who is that?’ and ‘What did he just say?’ Fortunately, dad happened to know the Captain and since he didn’t have a polite way of shutting me up other than whipping me,he offered to take me to the flight deck so I could address my queries to the Captain. So, there I was, walking up to the flight deck. The Captain was an amazing gentleman and he offered me the jump seat which, being smaller than the other seats, I assumed was for children like me, which I now know is not the case. 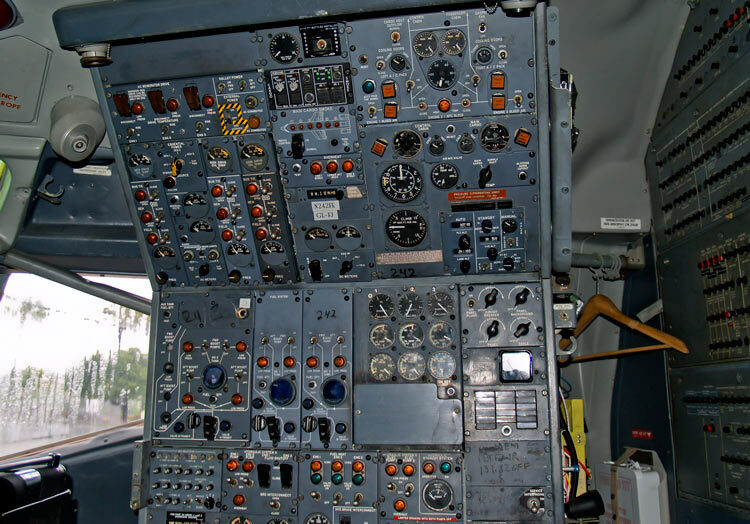 Back then, the Boeing 727 was the airliner of choice and seeing all the lights and gauges and switches made me feel like I was in a life sized game. I ended up spending the entire flight in the flight deck smiling from ear to ear and when we landed the Captain donned his well pressed double breasted suit with gold epaulettes on the sleeves and that was the smartest man I had ever seen. If the cockpit wasn’t enough to convince me flying was for me, the Captain surely sealed the deal. As I grew older and wiser, there were other careers I toyed with but that experience never left me and it changed my life forever and made me the aviator I am now. After the initial experience of flight, I continued to fly around with dad which helped to reinforce my love affair with aviation. It was only after high school that I had to consciously make a decision as to what I wanted to do with my life. I remember taking private classes at home so as to boost my math grades which had been poor and which I needed to boost if I wanted to keep my dreams of entering flight school alive. So after passing the mandatory math, english and physics and failing chemistry and biology I turned down dad’s offer to go off to campus. This was because I could not see myself doing four years of a course I didn’t want to do. However, since flying isn’t the cheapest thing on planet Earth, I had to wait it out as funds were sourced and it’s at this point where I decided to do a diploma course in aeronautical engineering just to keep in the aviation industry. I enrolled at a local college in Kenya for the course and it’s here that I met my best friend Wilson. We went through the three year course and literally by God’s grace, we passed the course. After that, I shared with Wilson my dreams of one day being a pilot and going to flight school. This also interested him as he did everything I suggested. So to my surprise, as I went to give the good news of graduation to my parents, they also had a surprise of their own. They said they would reward my efforts and hard work by sending me to flight school. The joy on my face, body and soul was out of this world. 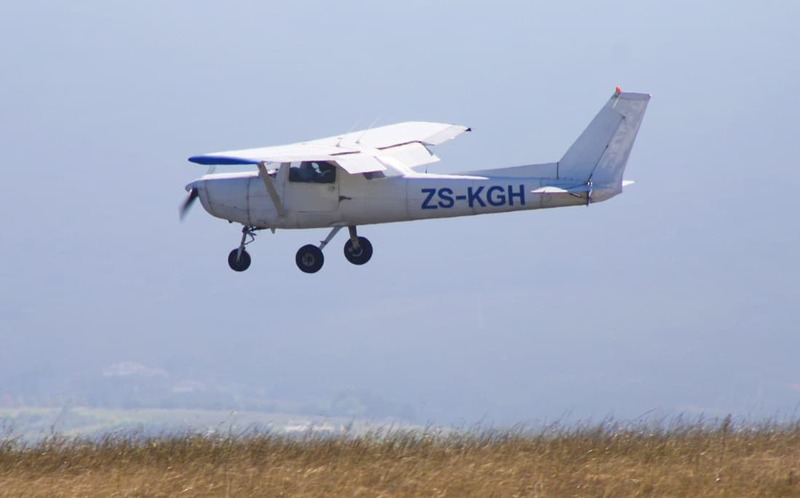 So Wilson and I sat down and shopped around for a flight school and we settled on one in South Africa, as the flight costs there were cheaper compared to Kenya, probably due to low gas prices. As I was busy flight planning my departure and making last minute preparations, Wilson had already convinced his parents and got a head start, leaving for South Africa. It would take me another four months before I could join him and the delay was occasioned by one of the most scary events ever in my life. As I was heading to the bank to cash dad’s cheque to pay for tuition and travel, I was greeted by security guards at the bank and a notice on the door which read that the bank had been placed under receivership. This was the saddest I have ever been in my life as I watched my career fade away. However, a few weeks later, by God’s grace, my parents managed to marshal friends and relatives who held a fund raiser to kick start my flight training. I am forever in debt to them for making me who I am today. So once again there was a light at the end of the tunnel and I set off for South Africa. To my surprise, as I landed at Port Elizabeth Airport where the flight school was, it was Wilson that I first met as he was also arriving for his training. My training experience in South Africa was as professional as it gets from both the schools and the CAA, in the sense that there was a clear hierarchy as to how the training was conducted and CAA played their part by offering services in a timely manner. During my training I managed to do my hour building in an interesting and quite revolutionary aircraft, the Reims Cessna 172 which incorporated the use of Jet A1 gas with a FADEC engine. This meant that all parameters of engine run up and fuel delivery were automated and there was no mixture lever as fuel was governed automatically. Upon the completion of my studies I returned to Kenya and worked both in the engineering and flying department of various companies before finally settling on instructing, which to me was a more challenging path. Coming from that background of South African training, I wanted to and still strive to offer similar professionalism in the Kenyan training scene. This, however, has been a challenge due to the fact that we have a CAA that is slowly getting to the levels that are internationally accepted. I say this because of the fact that most flying is done based on loopholes in the aviation laws rather than clear set guidelines and I can’t comprehend why one cannot do a night flight on a PPL under VFR and why one cannot fly a glider or a drone and other recreational planes. Having come so far in my aviation career and doing what I can with the flight school where I work for to offer quality and professional services, I think my next sight would be to work my way to the Kenya CAA, either through direct employment or as a consultant. As much as I may not single handedly change the system, I think it is upon all aviators to be as professional as we can in the work we conduct and blaming the system can’t be a solution or used an excuse to play along with substandard services. Excellent contribution of yet another young man’s path to earning his wings. God indeed works in mysterious ways when it comes to helping someone out…an aviator in particular. I think the entire universe is sad to see a wannabe pilot spend too much time on the ground and more often than not an unexpected event brings you a few steps closer to that yoke. There is a lot of work that needs to be done with the airspace throughout the world and it takes young professionals like Clifford, with good training and fresh ideas to improve things. Kenya must be one great place to fly over! My name is CALLEN. Kindly assist me to get a cabin crew job. Aviation has been my dream too. Interested in being a pilot, I believe God will make me one. Your story is an encouragement to me! Am SHADRACK RONOH, a student at Catholic University of Eastern Africa pursuing a degree course in Education.My dream ever in my life was to become a pilot as I have been dreaming of the same since young . Currently am not stable since I join University under government support as seems am wasting my time in the field which is not of my choice.If I could get any support as finance is a challenge to me and even the family at large I would venture into my best field of choice and promise to do perfectly and later do my payment of fees without necessitating . PLEASE HUMBLY HOW COULD I GET ANY SUPPORT TO DO EVEN ME MY FLYING AND BE GREAT FULL AS YOU ARE.Kindly consider my since and humble request if I could get a chance, I would be much thankfull. i should copy Kibet above. Almost everything, graduated a software engineer, and need a PPL., please get in touch, i need some guidance. Truly inspiring. Can you help me become a pilot too……..
i think it is time young folks device legit ways to bring their dreams to life and that begins with change in minds sets. While it is that much harder here in Kenya, it is possible. Keep thinking. Hello sir, such an inspiring story..
My passion is also in the piloting field, am still optimistic I’ll be one very soon. What an inspiring journey you had Mr obara. Being a pilot, has been my dream since. Like, a day doesn’t pass without thinking, imagining the life that is in the piloting ‘world’. Even when i here a plane flying in the sky, i just find myself staring at the sky, trying to figure out how i will archieve that dream. Its deep in me, and i have this feeling that a time is coming when i’ll be one no matter the current life status am in… Am a student at KCA university persuing BBIT (a second year) but its that am not satistified, though it can be an advantage, i still have this strong motivation for the piloting course. I have made inquiries on requirements about the same in one of the flying schools in kenya and luckily i qualified but the big problem is the fee. If i can get a sponsorship or a loan or if there is a way you can stretch your hand and lift me i’ll appreciate it a lot, a lot. Hello Clifford, it is my greatest appreciation for your sharing. I am requesting to seek your assistance as i am also wanting to train for piloting. I wish to have your contact u be guiding me whenever i need your assistance. Hi thank you for this article,I would like to be assisted in joining the aviation schools. Kindly assist. I’ve finished my bachelors degree in Business but flying is My interest. My dream was to become a pilot but I did study science subjects. Do you think I can still get an opportunity to pursue my dream? Kindly let me know.